Progressive die is an essential manufacturing process of the automotive field. It’s a metal forming technique that consists of several and individual workstations performing different operations on a sheet metal part. The piece goes from station to station via the stock strip and is separated in the final workstation. The process uses a computerized system that manages the cutting, embossing, and designing operations of the workstation’s sequences. Progressive stamping encompasses the bending, coining, and punching metalworking operations, among several other ways of giving form to raw pieces of metal. Progressive dies have an automatic feeding system that unveils the strip of metal from a coin from station to station. Each station performs various operations until they finish their part, and the final station cuts the strip from the carrying web. Because each station performs a task, it’s important the strip advances in precise moments so that moves from station to station with accuracy. Progressive dies are often made of tool stand because it can withstand the high amounts of shock loading involved in the process. Tool stand can retain its sharp cutting edge and resist abrasive forces as well. 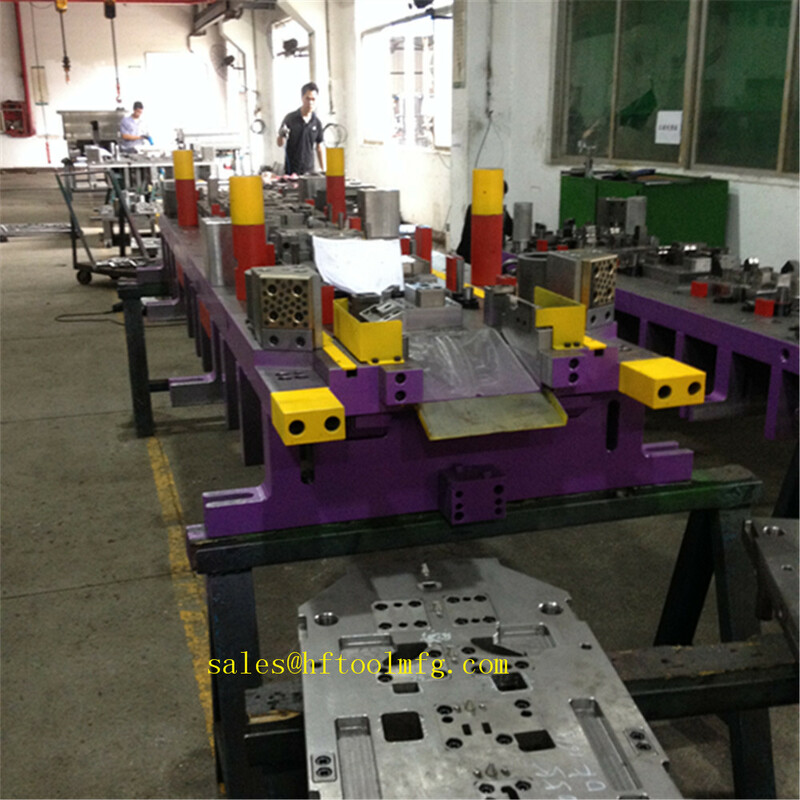 The process transforms a flat strip of sheet metal into pieces ready to be assembled. Because the transformation occurs progressively, progressive dues reduce production and time cost of complex metal components. One of its main advantages is the production cycle as these systems can easily run 800 parts each minute. However, the main disadvantages is that is not recommended for high-precision metalworking like deep drawing. Even so, the process can perform at slower speeds by relying on mechanical fingers holding the components in place during the metalworking cycle. Progressive die sheet product solutions revolve more around the software than the actual workstation chain. The software supports the chain by defining the process plan, managing the strip, and customizing each individual action of the workstations. This software also provides geometry modification tools for the creation of concepts and well-defined perform geometries. Some product solutions also offer enhanced flange development tools and options to make the process of drawing and modeling easier.